822 Lynn Road Durham NC 27703. What goes around comes around and so does 822 Lynn Road. I’ve sold this home once already and now I’ve got it for sale again. There is so much to like about this home, the floor plan is open and has a terrific flow. The living space is light and bright and the hardwood floors gleam. The yard has tons of garden space with lots of perennial plantings that are sure to thrill any gardener. 822 Lynn Road is a short ten minute drive to Duke Medical Center, The VA Medical Center, shopping at Brier Creek and the Research Triangle Park. 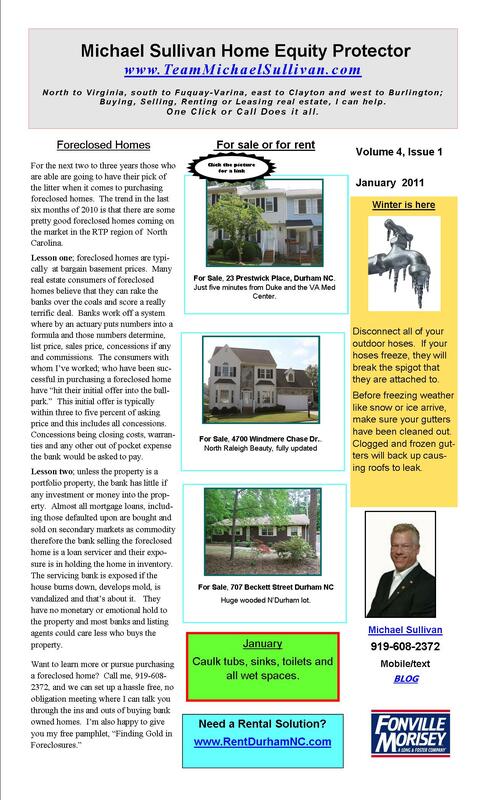 Call Michael Sullivan, the real estate expert on Durham, Research Triangle Park, Hillsborough and Chapel Hill. To learn more about this and other properties in the area. You can Michael at 919-608-2372 mobile/text or MSullivan@fmrealty.comVisit his web site at TeamMichaelSullivan.com or TeamMichaelSullivan.net. Another one is sold, 1316 Glendale Avenue Durham, NC 27701 is contract pending and on its way to closing. Put Michael’s 17 years residential real estate experience to work for you. One click or call does it all. Real estate is rarely perfect, ok real estate is NEVER perfect but this home, this home at 4100 Five Oaks Dr. unit 43 is amazing and very close to perfect. This home was built in 1974 but walk inside and you’d never know it. The kitchen is fully updated with new tile flooring, new counter tops, a new tile backsplash and new appliances. Adding to the space are updated lighting fixtures too. In the living room and dining room there are high end laminate tiles and new custom paint treatments, neutral but NOT boring. A wall of windows in both the living room and dining room look out onto lush, wooded common space. Upstairs are three graciously sized bedrooms, all with new paint, all with new carpet and all with new lighting fixtures. 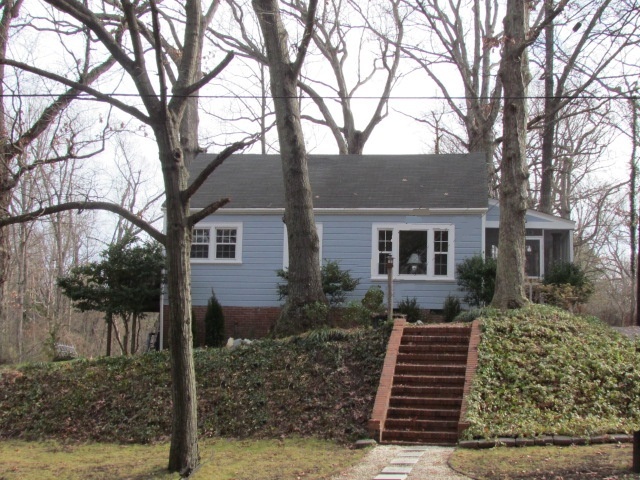 The master is a true treat with a fully updated and upgraded bath also with a wall of windows opening onto the woods. The home at 4100 Five Oaks Dr. #43 offers a tremendous amount of storage space, expansive outdoor living space at both the front and back of the home and a community tucked in between Durham and Duke and Chapel Hill. Five Oaks offers a pool, playground, lake for fishing, gym facilities, movie loft, yoga studio, game’s nights a dog park, basketball courts and lighted tennis courts all within the community. Call Michael Sullivan, the expert on Five Oaks and southwest Durham and Chapel Hill to learn more about this and other properties in the area. You can Michael at 919-608-2372 mobile/text or MSullivan@fmrealty.comVisit his web site at TeamMichaelSullivan.com or TeamMichaelSullivan.net. This home was built in 1987 but an unbelievable rehabilitation makes it look brand new. The living space essentially is one large room, so well suited to today’s active lifestyles. The living space is adorned with lovely laminate flooring and a gas fireplace is the focal point of the room. The ceilings are cathedral. At the back of the living space is a large dining space and a completely updated kitchen complete with new flooring, new cabinets, new counter tops and new appliances. The bedroom wing is updated too with new smooth ceilings, new wall to wall carpet, new bathrooms and new lighting fixtures. Call Michael Sullivan today at 919-608-2372 or email me at MSullivan@fmrealty.com to take a look at this amazing home. Visit TeamMichaelSullivan.com for links to the active listings in the center column.